Opa! Don’t miss this magical musical journey to Greece with the Hohlax Trio! 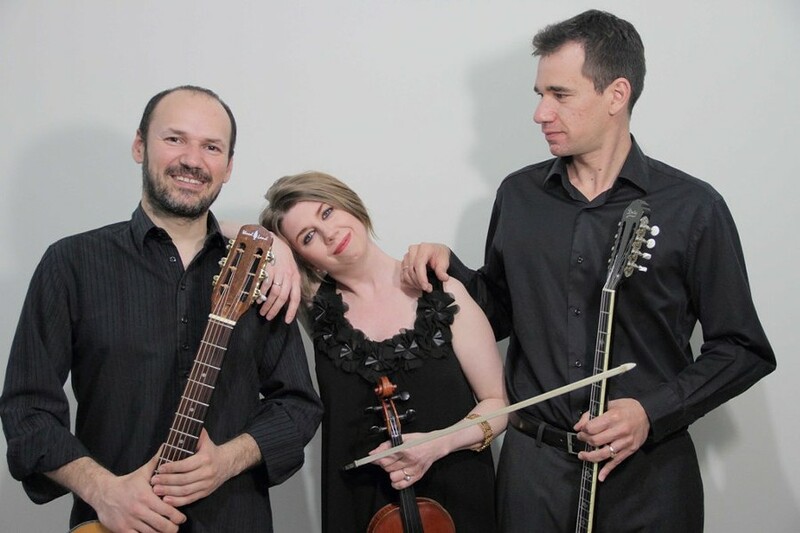 Formed in 2007 on the Greek island of Amorgos, this talented trio of classically trained musicians - native Californian Jaime Smith on violin; celebrated bouzouki player & singer Orestis Koletsos, and Giannis on guitar and vocals- will play exciting pieces from their five CDs of Greek dance rhythms and more! Dance space. Fine refreshments including Greek food and drink. CDs for sale.